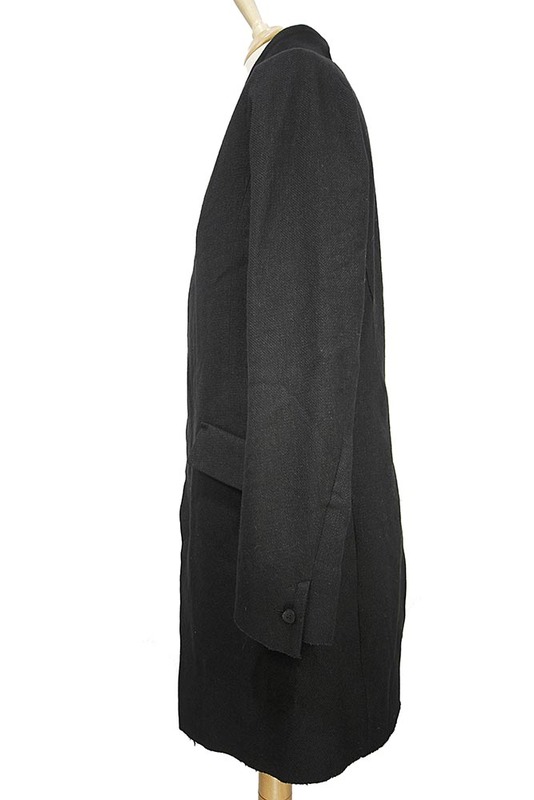 Masada long black coat in a linen wool mix in a compact basket weave fabric. 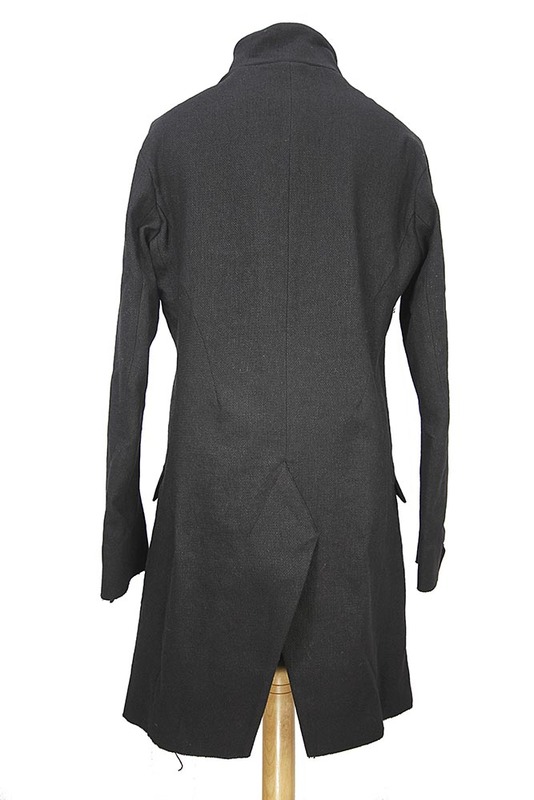 Raised collar with button fastening. 5 button fastening (excluding button at collar) slightly angled and hidden by placket. 2 angled pockets with flaps. Single working button cuffs with doubled bonded fabric, off-set finish and raw edges. Single vent at rear. Fully lined. Stunning coat of the very highest standard of production and design.